Life is all about choice, like where to eat and what to wear. 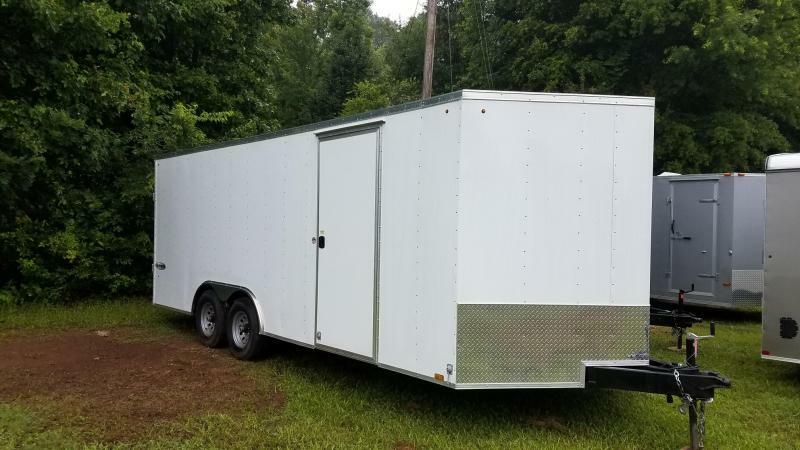 But, the real choice comes when deciding what features to include in your Element SE 8.5' wide 20-foot enclosed trailer. Look Trailer's value-driven cargo trailers place this flat top at the head of the hauling market. Extra-large models include the features owners want most, while remaining an affordable price and built for years of durable towing. Coming standard on the Element SE are LED tail and clearance lights, a 7-way plug for added convenience and a 36" aluminum framed side door complete with flush lock to complement the aluminum framed double rear doors.